These years, Mac has become popular in people’s daily life, and it is common to see Mac users watching DVD movies on their MacBook and iMac. Watching DVD movies on large-screen MacBook and iMac might be exciting, but it is inconvenient to carry MacBook with oneself in order to watch DVD movies on the go given that MacBook is heavy and takes up a lot of space. Therefore, many Mac users who happen to be DVD movie fans start to look for some best DVD rippers for Mac. For those users, the post is indeed the right place to come to as it introduces top 3 best DVD rippers for Mac. After carefully reading the post, users can freely pick up their preferred best Mac DVD ripper based on their own specific requirements. Leawo DVD Ripper for Mac is Leawo Software’s featured Mac DVD ripping program. Having a simple and user-friendly interface, Leawo DVD Ripper for Mac like its Windows counterpart is extremely easy to operate. There is no professional expertise erquired to ultilize the best Mac DVD ripper, which means even software greenhands may find it friendly to decrypt and convert DVDs. After entering the main interface, users can import DVD disc and DVD folder as input. Users will find it a surprise that any DVD disc can be ripped and converted by Leawo DVD Ripper for Mac as the best DVD ripper for Mac can not only rip non-commercial DVDs, but also decrypt and convert commercial DVDs. (Nowadays, most DVD are encrypted, so it would be better if a DVD ripper is capable of decrypting discs.) 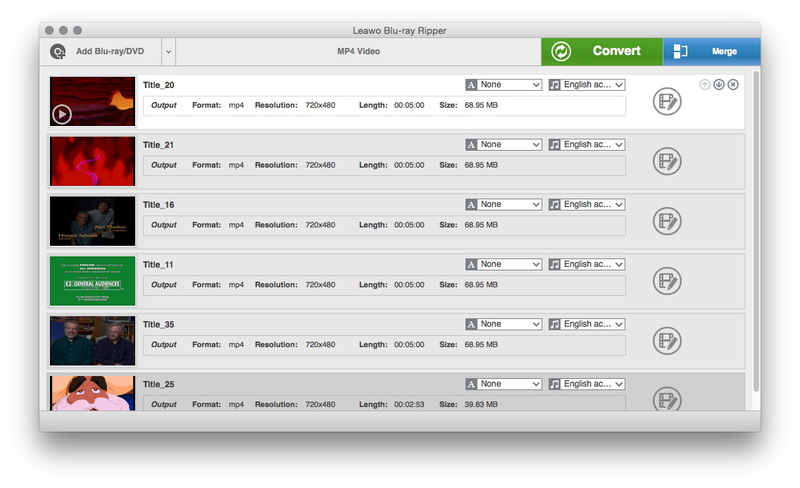 Leawo DVD Ripper for Mac outputs a wide variety of video and audio file formats, such as MP4, MOV, FLV, AVI, RMVB, MKV, MP3, ACC, WMA, M4A, etc. In other words, it can extract video and audio off DVD disc and folder and save in countless file formats. Leawo DVD Ripper – the best Mac DVD ripper is also preset with a variety of popular output devices like Apple devices iPhone 6/6s (Plus), iPad Air, iPod Touch, Apple TV and so on, Android devices Samsung Galaxy Series, HTC Smartphone and so on, and Microsoft products, etc. 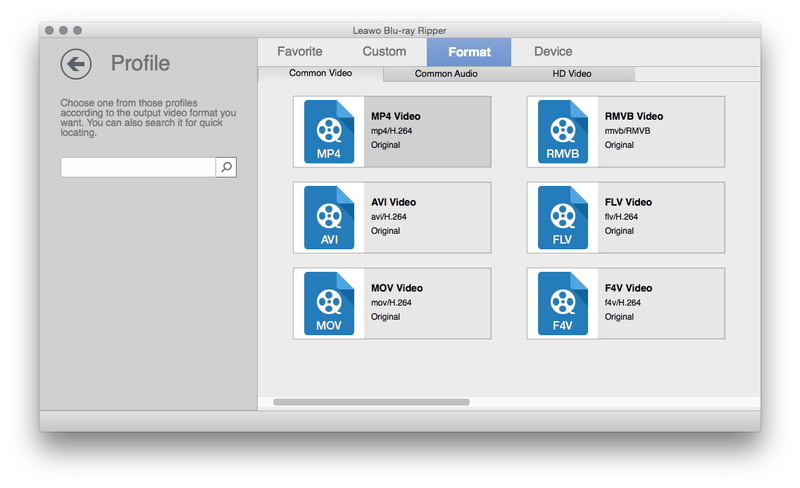 For advanced users, they can detail video and audio parameters such as Video and Audio Quality(Best/Normal/Low), Video and Audio Codec, Bit Rate, Resolution, Sample Rate, Frame Rate, Aspect Ratio and Channel by virtue of Leawo DVD Ripper for Mac. What’s even more amazing is that users can trim DVD video length, crop DVD video size, adjust DVD video effect, add watermark upon DVD video, and convert 2D source DVD video into 3D movie with the best Mac DVD ripper’s internal DVD editor. If you are looking for its Windows counterpart, you can click here to have a better view. Note: Ripping encrypted DVDs is agaist the laws and regulations. Users shall consult the local laws or gain the copy right of commercial DVDs first before ripping process takes place. MacX DVD Ripper Pro is another best Mac DVD Ripper ranking just behind Leawo DVD Ripper for Mac. Like Leawo DVD Ripper for Mac, MacX DVD Ripper Pro provides a professional solution to rip and backup DVD on Mac to many preset profiles like MP4, MOV, FLV, MP3, etc. Its supported input formats also include encrypted DVDs. 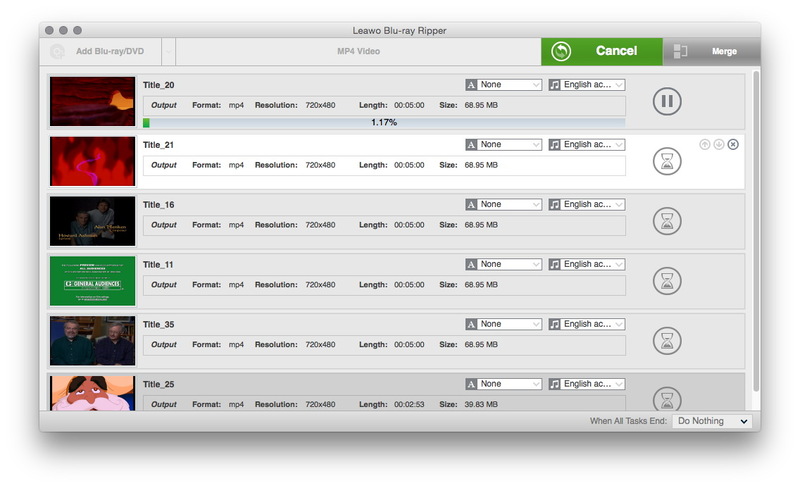 It has many functions that Leawo DVD Ripper for Mac possesses: for example, detailed video and audio parameters adjustable, DVD trimming, cropping, and merging available, screen snapshot accessible, etc. However, it cannot output 3D movies and it charges a higher price than Leawo DVD Ripper for Mac. 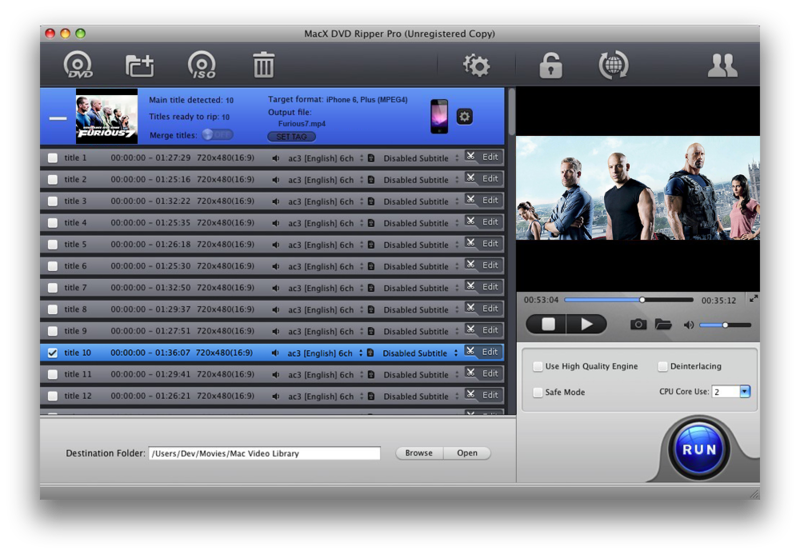 With MacX DVD Ripper Pro in hand, users can decrypt and rip any DVDs to various video and audio formats playable on iPhone SE, iPhone 6/6s Plus, Apple TV, iPad Air, iPod Touch, etc. for on-the-go enjoyment. The second best Mac DVD ripper also has Windows version called WinX DVD Ripper. Originally priced at $59.95, MacX DVD Ripper Pro now enjoys a holiday discount, charging $39.95 with $20 less. 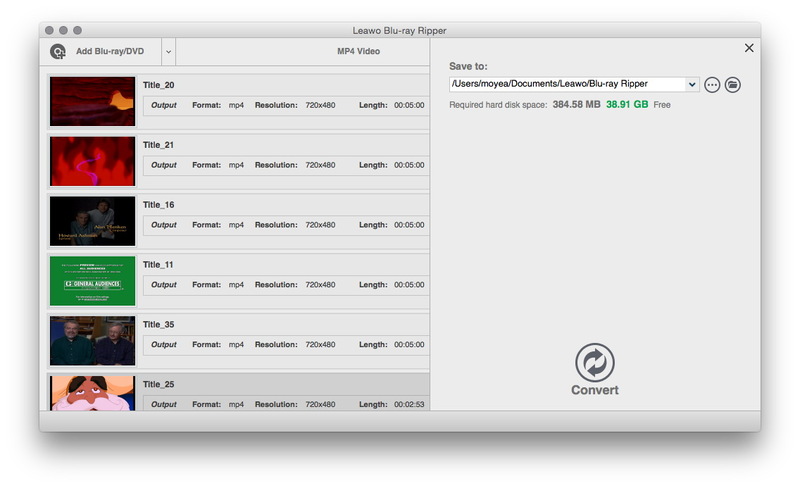 However, compared with $29.95 valued Leawo DVD Ripper for Mac, MacX DVD Ripper is still higher in price. HandBrake is an open-source, multiplatform video transcoder available for MacOS X, Linux and Windows. It can input common DVD and Blu-ray source and output only MKV and MP4 video formats. It supports iPhone, iPod, PSP, Apple TV, PS3 as output devices. However, HandBrake alone cannot decrypt and copy-protected or commercial DVDs. To rip commercial DVDs, it needs the help of a third-party software, VLC media player. HandBrake is a total free DVD Ripper for Mac, Windows and Linux, but it is very unstable, and sometimes will crash, bringing much inconvenience to its users. Therefore, HandBrake alternative No. 1 best DVD ripper Mac – Leawo DVD Ripper for Mac is highly recommended. Download and intall the top DVD Ripper for Mac – Leawo DVD Ripper for Mac, and then follow the step-by-step tutorial guide to kick off the process of ripping DVD. Insert DVD disk into Mac’s DVD drive, and click “Add Blu-ray/DVD” button to import source DVD. Click the bottom “Convert” button to start to convert DVD on Mac.